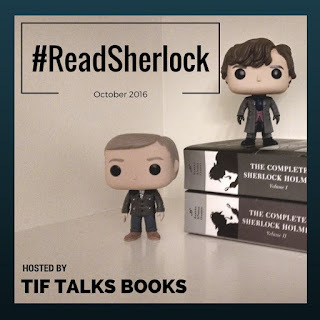 Today, we begin the final week of our month of #ReadSherlock! It has been a great month, but it is not over yet and we still have some great things planned this week. Let's start with a quick look at my FAVORITE PHOTO from the week, simply because it was the only one posted this week! Yikes! Let's see if we can jump back in stronger than ever for this final week! 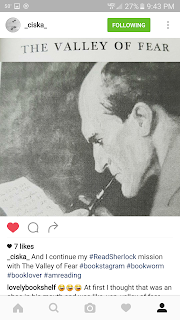 I also wanted to give a quick shout-out to Kai of FICTION STATE OF MIND for sharing her review of The Hound of the Baskervilles on her blog. Be sure to check it out! ICYMI: There were some really great posts this week, especially that guest post from Kristen of We Be Reading! Here's a quick reminder of what was shared . . . The prompt for the INSTAGRAM SCAVENGER HUNT this week is Mystery. 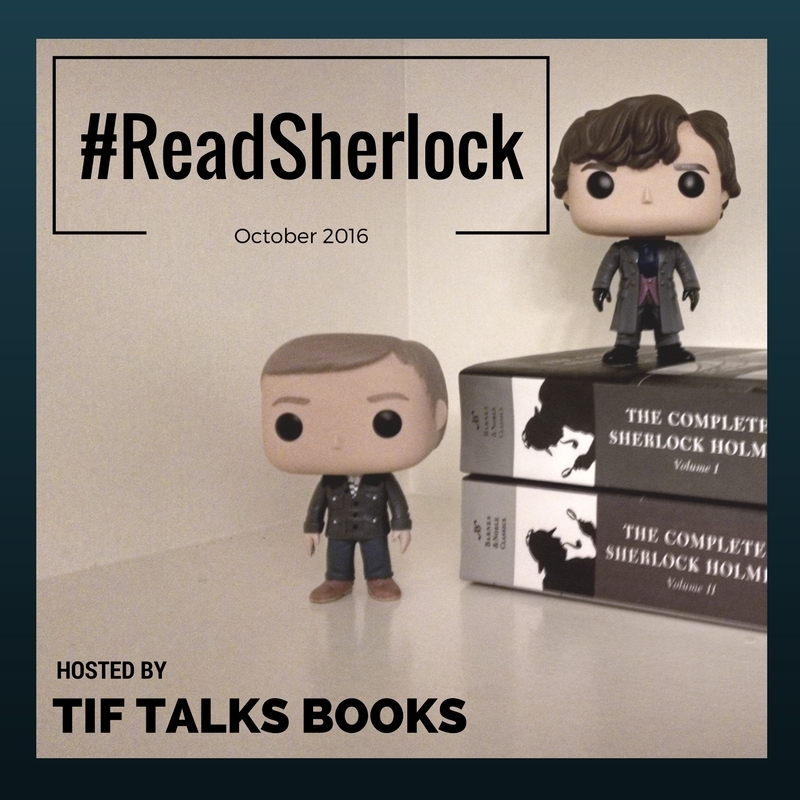 I am really excited to see what you all come up with on this one, so share away (with #ReadSherlock attached, of course). Now, for the discussions . . . this week's reading selection is YOUR CHOICE. This means that you get to choose what you read and share about! There are so many other options out there. Maybe you want to go with one of Doyle's shorter tales, or maybe you want to go with a Sherlock retelling. Read away, and then report back to all of us! We will be watching Warner Brothers' SHERLOCK HOLMES: A GAME OF SHADOWS, featuring Robert Downey Jr. as Sherlock and Jude Law as Watson for a second time. I decided to change things up with my schedule and ended up re-watching The Abominable Bride again instead, and did not get to the first one of this version. So, this week I will be watching both of them, and I can't wait. I know that my husband will be up for watching these with me again. The game is on . . . for this last week of October! Have fun, and enjoy! I am still catching up with last weeks reading and will try to watch the Sherlock movie on Netflix this week. 😊 Am really enjoying the stories! Ciska van der Lans ... I'm still a bit behind in reading too, but am loving every minute of it. I'm home with a sick child today and am tempted to throw in a movie while she naps! I just watched A Game of Shadows on Sunday. I like the first movie better. Also, the movies are not as good as I remember. I got spoiled with Sherlock. As much as I love Robert Downey Jr. and Jude Law, the cast for BBC's Sherlock is vastly superior.